The Trim Castle is one of the oldest and most significant Norman strongholds built in Ireland. The structure was constructed over a period of 30 years after the Normans seized control of Ireland in the 12th century. The domains on which the castle stands today were given by the King of England, Henry II at the time of the Norman invasion in Ireland, to Hugh de Lacy, an Anglo-Norman magnate who had various possessions in England, most notably in Herefordshire and Shropshire. As a sign of gratitude intended for his participation in the Norman invasion of Ireland, he was granted land in Meath and was made lord by the king. The castle was besieged and burnt by the rebel forces of the Gaelic High King of Ireland at the time, namely Ruaidrí Ua Conchobair. Ua Conchobair, being victorious, quickly withdrew. The fate of the castle wasn’t placed in oblivion and as such De Lacy rebuilt it one year after, in 1173. In circa 1224, the castle was completed by De Lacy’s son, Walter. 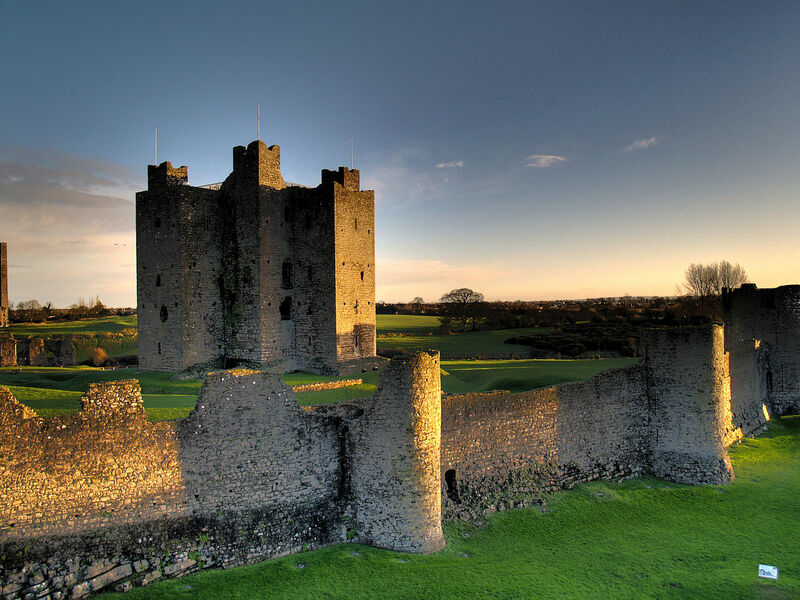 During the late Middle Ages, Trim Castle was the administrative centre for Meath. It additionally marked the outer northern border of The Pale. In the 16th and 17th centuries the castle’s significance declined and was used mainly for military purposes. In the meantime, it was unfortunately allowed to deteriorate. Although the landmark gradually fell into decadence in the 16th century, it was fortified later on during the Irish Confederate Wars which took place in the 1640s. In 1649, quickly after the siege of Drogheda, the garrison of Trim fled the castle in order to join the rest of the Irish forces. As of the cause of the lack of military appointment, the place was then occupied by the army of Oliver Cromwell. After the wars of the 1680s, Trim Castle passed in the estate of the Wellesley family who held it until Arthur Wellesley (the Duke of Wellington), sold it. The castle had subsequently passed over to the Dunsanys who held it and surrounding areas until 1993, when Lord Dunsany sold the land and buildings directly to the state with the sole mention of retaining solely the river access and the fishing rights. Trim Castle is also renowned for the part it played in Braveheart, the film directed by Mel Gibson. Having a total area of 30,000 m², it is one of the most largest castles built in Ireland. In Irish, the castle is known as ‘Caisleán Bhaile Atha Troim‘.